Bestar is a leader in developing innovative ready to assemble furniture for the home and office. 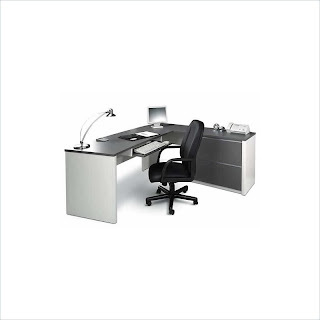 Desks, workstations, tables, cabinets, shelving, and entertainment furniture can all be found among their high quality products. Bestar uses recycled hardwood and softwood materials which are environmentally friendly. Their wood products are bonded together with resins using heat and pressure, creating durable boards for furniture. The boards are then covered with paper or melamine laminate. Bestar pioneered the use of melamine in RTA furniture. As a result, many of their products are covered with thermofused melamine, the industry standard for durability and resistance to scratches, stains and burns. BESTAR Inc. was founded in 1948 in Ste-Martine de Courcelles, by Jean-Marie Tardif, father of Paulin Tardif, Chairman of the Board, by letters patent dated January 22 1964, issued under the Quebec Companies Act under the corporate name of BES-TAR Ltd. The Company’s initial nomination was based on the first letters of the names of its two directors, J. Besner and J.M. Tardif. The Head Office was then located in St-Sébastien, Quebec, Canada. Initially, the Company manufactured assembled handicraft furniture such as coffee tables, end tables, massive wood rocking chairs and bookstands. The fabrication of these products was eventually replaced by the manufacturing of a series of shelves for the Grolier Company.